Gnomeland New Hampshire New Hampshire's Premiere Gnome Destination! Wilhelm! Help! I’m stuck in Florida, kidnapped by a bunch of toothless rednecks who use me as gator bait! Onkel Gimli has been traveling about New Zealand. You can read about his travels from the Travel menu. 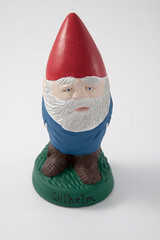 Wilhelm Gnome on Grand Opening! Noplace like gnome on Grand Opening! © 2019 Gnomeland New Hampshire. All Rights Reserved.